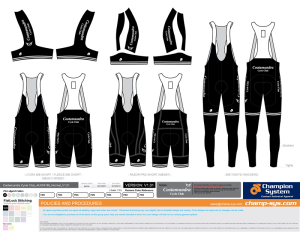 Please find attached pictures of an optional training/MTB kit available for purchase through the club. We have had complaints about the registered race kit blending in with the road. 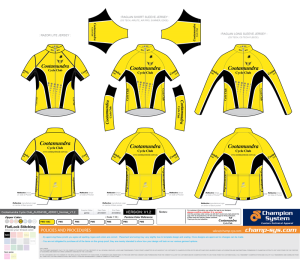 Please note that this is not to replace the race kit but a safer training option and a way for the club to raise income to cope with increasing race costs. Jerseys will be $100 and Bib-knicks $120 (if you want standard short kicks they will be a little cheaper, email me for details). The chamois is the same quality as the current champion-systems race knicks which we have had great feedback about. Please let me know if you would like to place an order and I will put your name down. Orders are placed once or twice a year and notification of an order is via the mailing list emails or on Twitter. If you are unsure of your size please go to http://www.champ-sys.com.au/services/sizing-chart and choose the article of clothing you would like to ascertain your correct size.